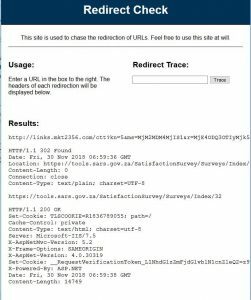 Do not click any links in unexpected emails. 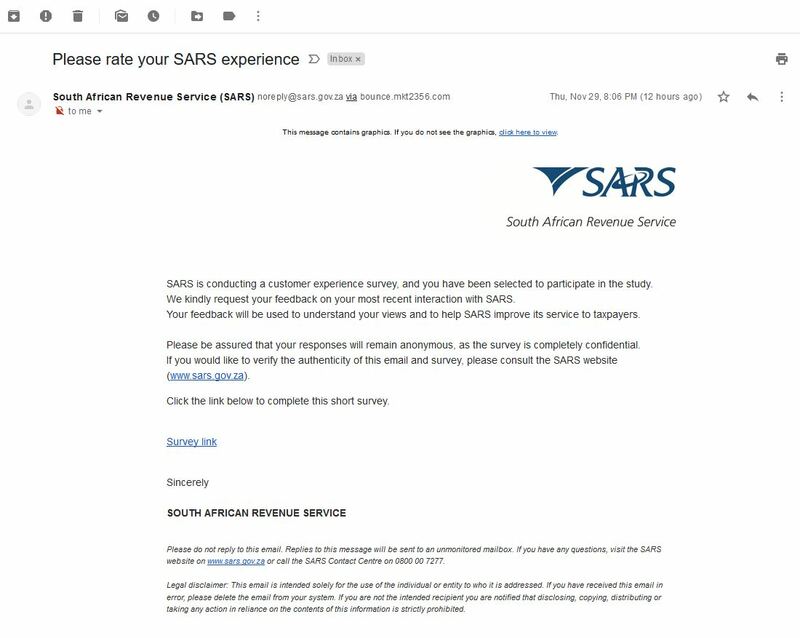 The South African Revenue Service (SARS) brand is notorious for being used in Phishing attacks, trying to trick users into divulging banking or other personal information. For this analogy, we’ll run with the idea that I have a letter that I’d like to send to the friendly people at Eskom to enquire about their power generating capability as we are having Stage2 load shedding today. I decide to drop my well worded letter off at the big red metal post box at the Hatfield Post Office in Pretoria, South Africa. Upon receiving my letter, the Post Office adds something called an email header to it. An email header keeps track of (among others) all those stamps added to your envelope as it travels past different post offices and mail sorting stations on its way to the friendly folks at Eskom. One of the many fields contained in the email header is called the Message-ID. 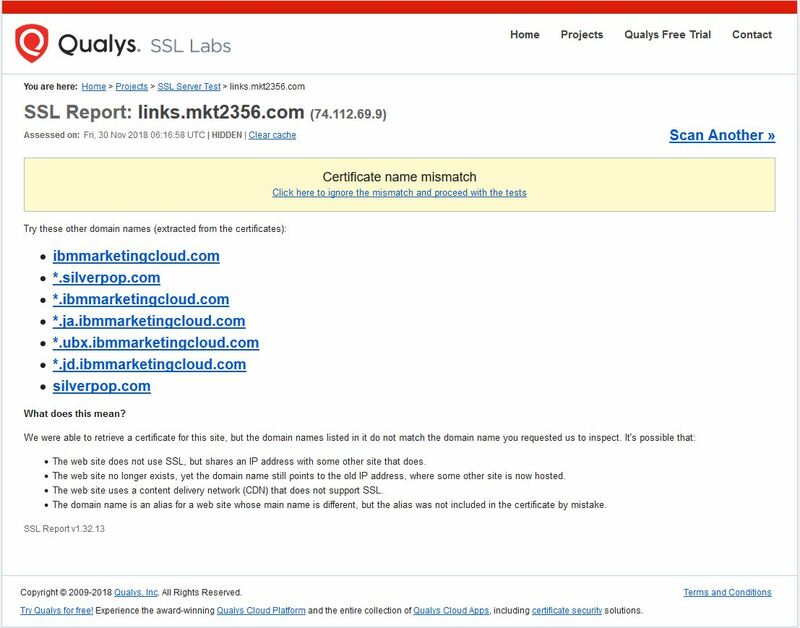 This field can help us in our quest to determine where the email originated from. This is in essence the name and serial number of the post box at Hatfield Post Office, as well as a uniquely created tracking number for my letter. However, in our case rbg13.atlis1 isn’t a valid domain, which is odd for an email received from SARS. Next, lets look at the “Received” field. This field records all the email servers which handles an email on it’s way to it’s destination. Yes, that shows a pretty short path. Basically one hop from the mkt7212[. ]com server to Gmail’s server. Next up is the link in the email (the reason I wrote this whole thing). 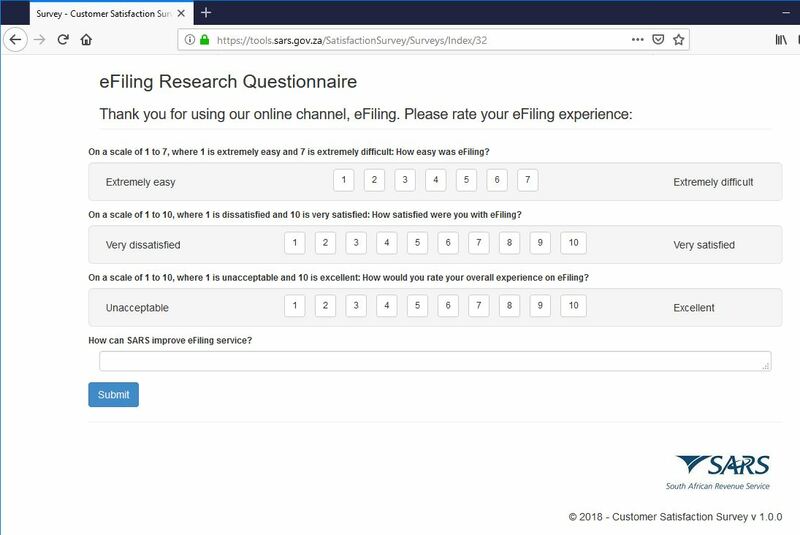 If you scroll up and look at the screenshot again, you’ll see that the email contains a “Survey Link” to click and complete. So, it turns out that the MKTxxx domains are owned by IBM’s Watson Campaign Automation digital marketing solution. *Unless we send you stuff via a third party, so then please go ahead and click it, even if it was set up crappy, don’t worry, it’s fine, trust us. That my friend, is confusing.